Remanding Chelsea Manning into federal custody for contempt on Friday, jailing her for invoking her constitutional rights, refusing to answer prosecutorial and grand juror questions, is one of countless examples of grand jury abuses of power – symptomatic of police state rule, how things work in the US. Her response was and remains constitutionally protected. That’s not good enough in America, the rule of law long ago abandoned. Congressionally and judicially supported executive diktat power replaced it. Forever wars of aggression against nations threatening no one is Exhibit A. So are numerous police state laws of the land, largely enacted post-9/11 – the USA Patriot Act most abusive. They’re subjected to unreasonable searches and seizures by unchecked surveillance powers of the state, their privacy compromised. Due process, habeas rights, and equal justice under law greatly eroded. All of the above are hallmarks of police state rule. Manning’s First, Fourth, Fifth, Sixth, and Eight Amendment rights were violated. She was wrongfully imprisoned for invoking her free expression rights, justifiably revealing US high crimes of war and against humanity in Afghanistan and Iraq. As originally conceived, the grand jury system was established as a “sword” against individuals accused of crimes, as well as a “shield” against oppressive, arbitrary authority. A former New York Court of Appeals chief judge once said under the US grand jury system, prosecutors control what jurors hear. Their manipulative practices can “indict a ham sandwich” – an overstatement to highlight an unjust system. The Supreme Court earlier ruled that federal grand jury prosecutors need not adhere to customary trial rules and procedures. Nor must they reveal evidence exculpating defendants. Instead of protecting the public from oppressive government, they function largely as a “sword” against fundamental constitutional rights because of their manipulative practices, doing whatever it takes to get indictments they seek. Grand juries are convened to determine if there’s probable cause to indict, most often a super-majority of jurors required, at times a simple majority. Instead of being a protective “community voice,” most often they’re a prosecutorial tool to indict – an unconstitutional system that should have been restructured or abolished long ago. That’s why Manning refused to cooperate, invoking her constitutional rights to remain silent, free from possible self-incrimination, along with potentially helping the prosecutor build a case against another targeted individual – namely Julian Assange, why the grand jury she was called before to testify was convened in the first place. Eastern District of Virginia court Judge Claude Hilton ordered her detained unless she agrees to testify, or until the grand jury she was subpoenaed to appear before concludes its work. She could be detained as a political prisoner indefinitely. At the completion of the current grand jury’s work, she can be subpoenaed to testify before a newly convened grand jury – a way to keep her imprisoned. 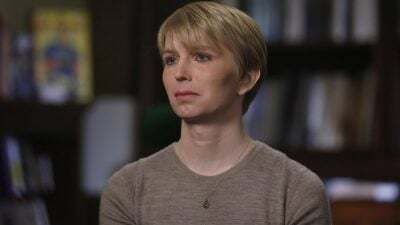 That’s what oppressive rule is all about, the rights of many thousands of Americans violated – countless numbers for political reasons like Manning.